Leviton’s GigaMax 5e Patch Panels from 12 port to 96 port in stock and ready to ship today. Leviton’s GigaMax™ 5e Patch Panels and Patch Blocks are ideal for modular cross connection and available in a multitude of port densities to meet the needs of high-speed data applications. Craft friendly 110 punchdowns on the rear of the panel make installation easy. - Universal T568A and T568B wiring cards for 110-style IDC terminations. - Color-coded front labeling for easy port identification. 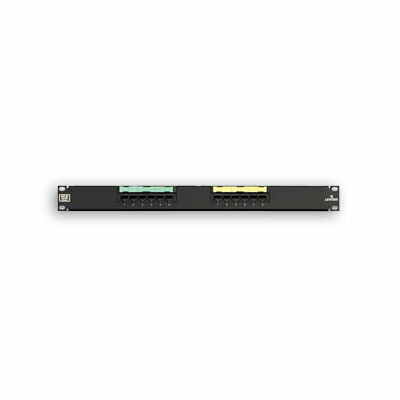 - Centralized labeling available on 48 port panel. - Grounding standoff for optional earthing/grounding. 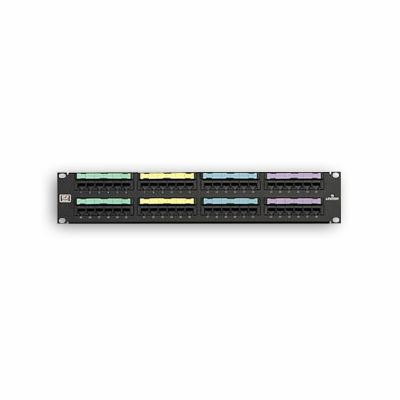 GigaMax 5e Patch Panels and Blocks come in a variety of port densities to meet the needs of high-speed data applications. 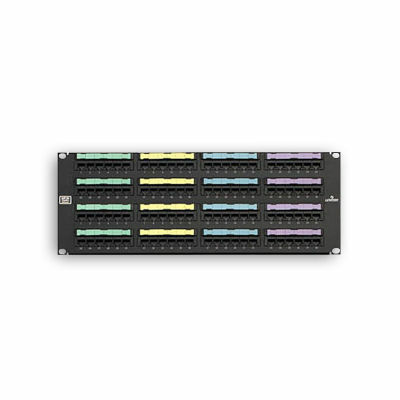 The 12-, 24-, 48-, 96-port patch panels and U89 Universal 12-Port Patch Block feature connectors in groups of six. Ideal for enhanced applications and can be used for T568A or T568B wiring configurations. The panels mount in standard 19" equipment racks and accommodate top, bottom or side cable entry. For smaller, wall mount installations, the 12-port patch blocks are an ideal low-profile solution. GigaMax 5e panels and blocks are rated for both channel- and component-level performance. Leviton’s GigaMax™ 5e Angled Patch Panels are designed to increase port density on industry standard 19" racks and cabinets. 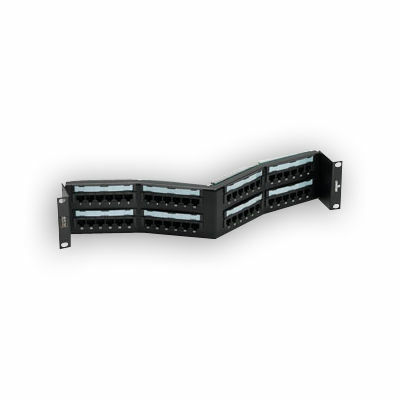 The unique dual-angle design easily routes cables into vertical cable managers, minimizing the need for additional horizontal cable management. This system promotes long-term cable management and attractive cabling installations. Leviton’s GigaMax Category 5e systems are designed for use in high megabit applications such as Gigabit Ethernet.